Being a historian, James Dunn is well-versed in the events that shaped the country, while his journalist side made him more critical in examining the facts he collect. With these two qualities combined, Dunn conducted an in-depth study of how the United States became a superpower following the fall of the Berlin Wall, which led him to the conclusion that America has become an empire. The book gives readers a different perspective of American history as well as a trigger for debate. Factual proofs and historical accounts that support the author’s claims grab readers’ attention, especially those who are interested in contemporary American history. “Mr. Dunn explains how America’s involvement in World War One and World War Two against her better judgment led to a transformation from a disinterested bystander in world affairs into a global empire,” says Michael Phelps, an Amazon customer from Orange County, California. 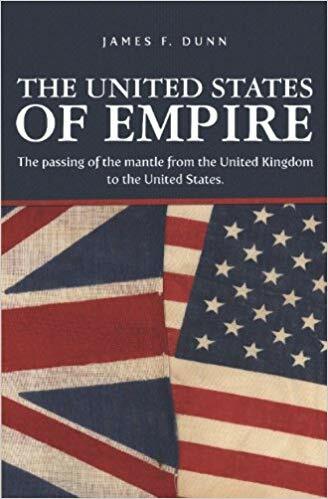 Revisit your history in “The United States of Empire.” Listen to James F. Dunn’s radio interview in America Tonight with Kate Delaney. Book copies are now available in selected online bookstores. Book copies are available at www.usempirebook.com, Amazon, Barnes & Noble, and other online book retailers. James F. Dunn is a dedicated historian who wrote another discourse on the Battle of Jutland where the British and German naval armies clashed. He is a journalist living on Woonsocket, Rhode Island, whose radio talk show was aired on WNRI station for three years at every Tuesday night at six before leaving his post.